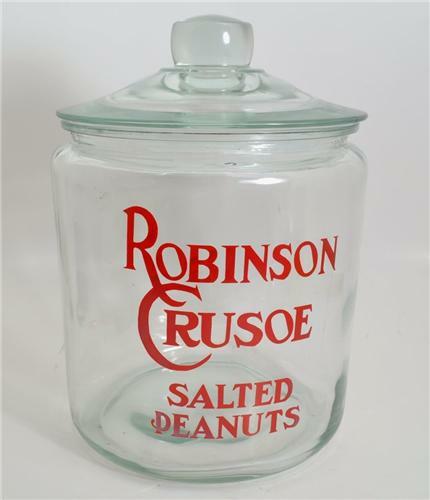 This is a nice thick New Counter Display Jar with Robinson Crusoe Wording Logo on the front. A Great Kitchen Conversation Piece! No chips, cracks, or hairlines on this one. Will come double boxed and very carefully packed. Comes with a plastic "firming" ring on the lid for a tight seal. Width: Approximately 6¾ inches in diameter at top opening.